1. Don’t be a spamaholic. No one likes being spammed. No one! Make sure to use the 80/20 Rule on your business page, timeline and in your group. 80% of the time you should be sharing information that compliments your business; the other 20% is for you to promote your business. That’s right, even on your business page it’s not all about business! Share as much content as you can that is related to your business with funny stories, videos, inspirational posts, etc. to keep your followers interested in sticking around and checking in often! There is a lot of phony information out there in Facebookland so be sure to take some time to research what you are sharing. You want to be seen as a valuable resource for your followers and have them get to know, like and trust you. Definitely double check any posts that may seem a bit fishy to confirm that they are legit before you share them. 3. 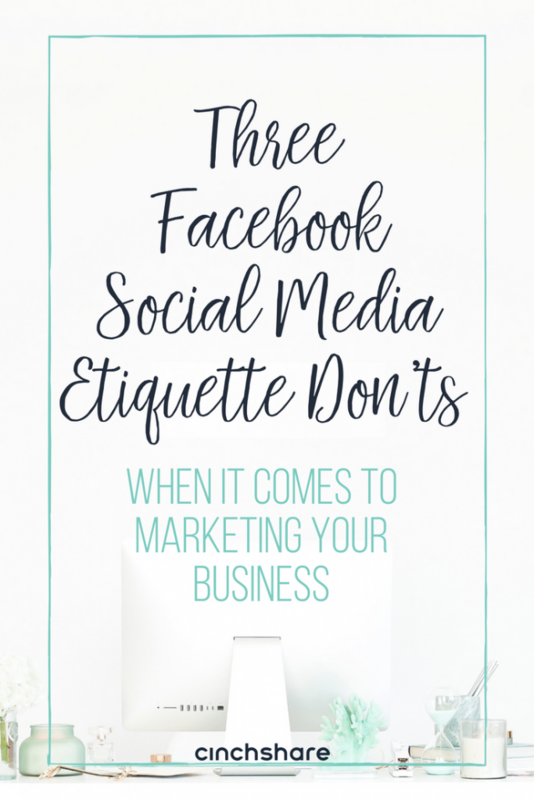 Don’t use Facebook as a diary or soapbox. Now that your social life is an open book, this one is important! Keep in mind what you share as far as hot topics go – religion, politics, current news, parenting, etc – and treat people as you would want to be treated. Debates can get heated so make sure whatever you do post, that you are extremely passionate about it and stand by it 100%. Remember that you are representing your business now, not just yourself. Stay true to who you are but don’t forget that there are a ton of people watching your every move and waiting to see what you post next. Keep your super personal posts visible to your close friends and family and try not to post any negativity because people want to see lighthearted and uplifting content on Facebook that will brighten their day! 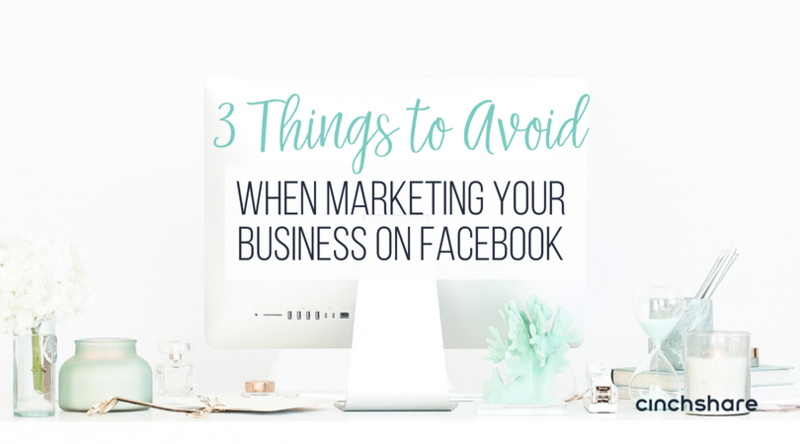 Remember that Facebook is a social network, and everyone on it wants to engage but most won’t be interested in drama and negativity, especially from a business or business owner, so be upbeat and inspiring and you’ll find that people will be drawn to you. This will help you build relationships and that is exactly what you want to happen!